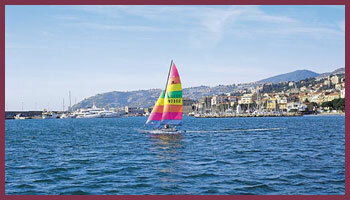 For bicycles fans is Sanremo the ideal place: impressive routes along the coast in the natur between olives and palmes. Many professional are choosing Sanremo to practise, because of the good routes but also cause of the clima which allows the bicycling all over the year. Only at Sanremo is it possible to horse riding between palms and olives. A horsefield in a beautiful area. A field with sand, covered or outdoors with an elegant environment where you really can relax and enjoy the panorama. Here you can find the most impressive field in Italy, in a olive, vine, fruitgarden - rich region. With 18 holes is it suitable for everybody on every level of 5000 sqm. 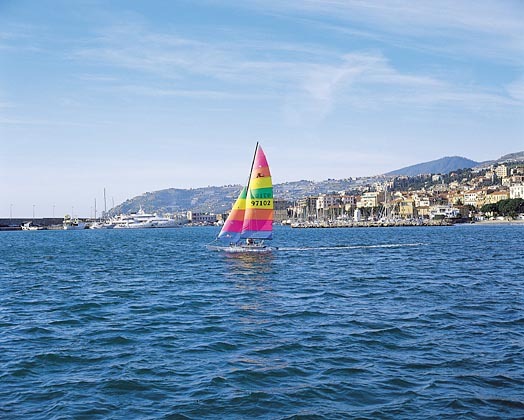 When you are staying at Sanremo it is impossible to resist the sea.